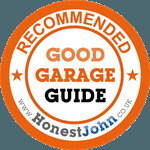 Established in 2001 by Darren Stratton and Ian Morse, at Belbins Garage, Romsey, we are proud that many of our customers have remained with us from the very beginning. Our garage is conveniently located on Cupernham Lane in Romsey. Get in touch today using our contact form, via email, or call us direct on 01794 516 999 to arrange your MOT, service, repair, maintenance or diagnostic. With us, you can always be assured of a reliable, courteous and fuss-free service. Belbins Garage are a Roadstone Tyres stockist.